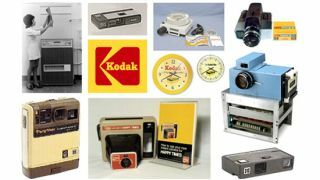 Bankrupt camera maker Kodak has been given court approval to come out of bankruptcy and continue as a smaller digital imaging company. The company plans to reinvent itself by moving away from consumer electronics and focusing on business printing technology. The bankruptcy judge agreed to Kodak's new business plans and has given it permission to continue trading, it plans to re-enter the market on the Sept. 3. Kodak filed for bankruptcy in January 2012 having failed to keep up-to-date with increasing competition from smartphones, which were offering better and better camera quality. There's no indication that Kodak will re-enter consumer electronics arena but it already has a well-established brand, which gives it some headway against newer brands trying to break on to the scene.